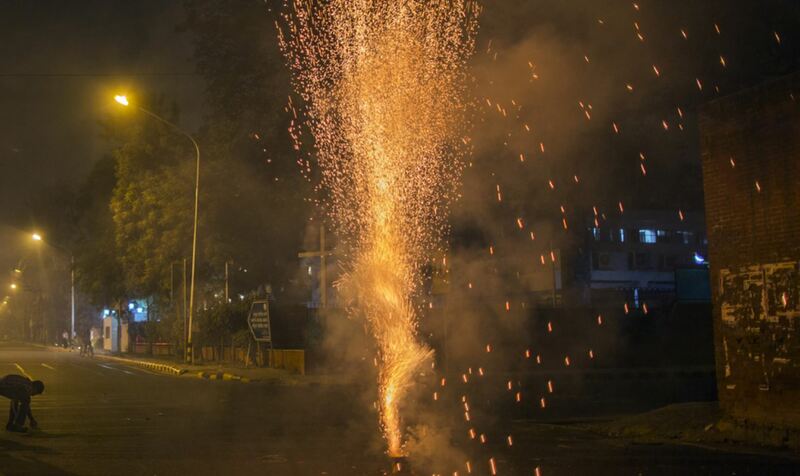 Solapur: NP News24 –Police have detained 136 people who burst crackers in violation of the Supreme Court’s order. Deputy Commissioner of Police, Madhukar Gaikwad, said that the process of legal action was underway. The Supreme Court has allowed fire crackers bursting between 8 pm and 10 pm. On the order of the Solapur police commissioner Mahadev Tambade action was taken against those who violated the order. Senior officials and staff were patrolling whole night. Many people were seen bursting crackers till 11 am today. Hence these 136 persons were detained and taken to police stations for filling cases against them. Firecrackers are also being seized.